In the last few years, we’ve sanded more floors than I care to remember. We turned yucky laminate covered floors into gorgeous sanded floorboards and transformed our dull and grey parquet into a luscious and rich oak floor. We really couldn’t be happier with how our floors turned out but we did make some floor sanding mistakes along the way. 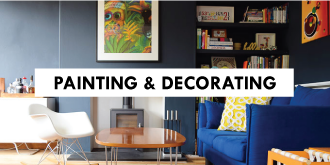 We learned the hard way that there are things you should and shouldn’t do and, more importantly, there are things you can do to make your floor sanding experience much easier. 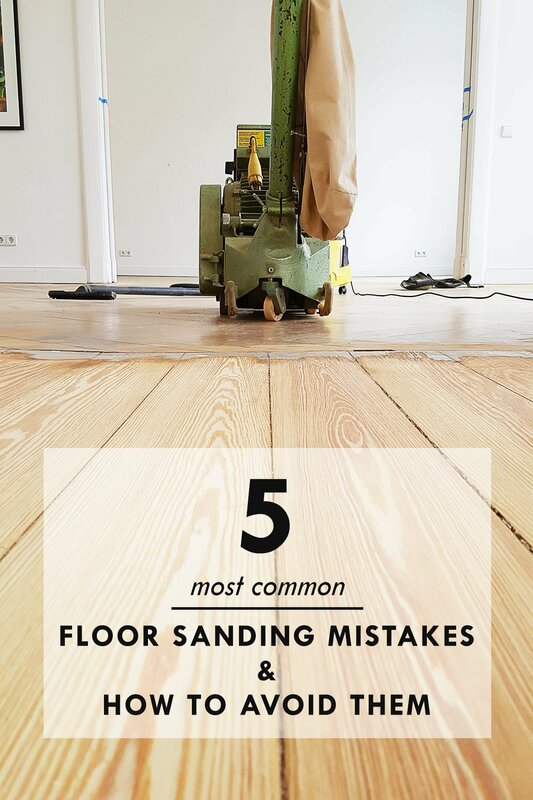 As we see some floor sanding mistakes over and over again, we’re sharing our tips and tricks to not only make your life easier but also help you avoid the floor sanding mistakes we made. We made the mistakes so that you don’t have to! The by far biggest mistake I see is not using the right grit paper. I honestly can’t stress enough how important it is and you really won’t do yourselves a favour if you start to sand with paper that’s too fine. 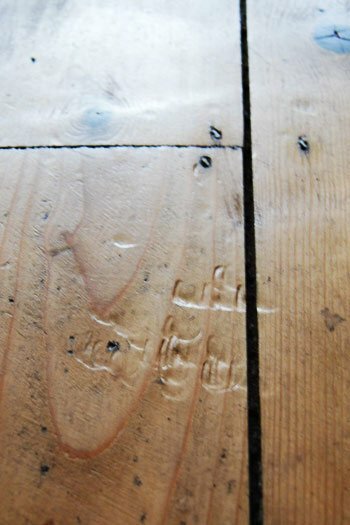 What grit you start with will depend on what your floorboards are like. If they’ve been sanded before and just need a refresh you’ll be able to start sanding with finer paper but in most cases, you’ll have to start with a much more corse paper than you expect. 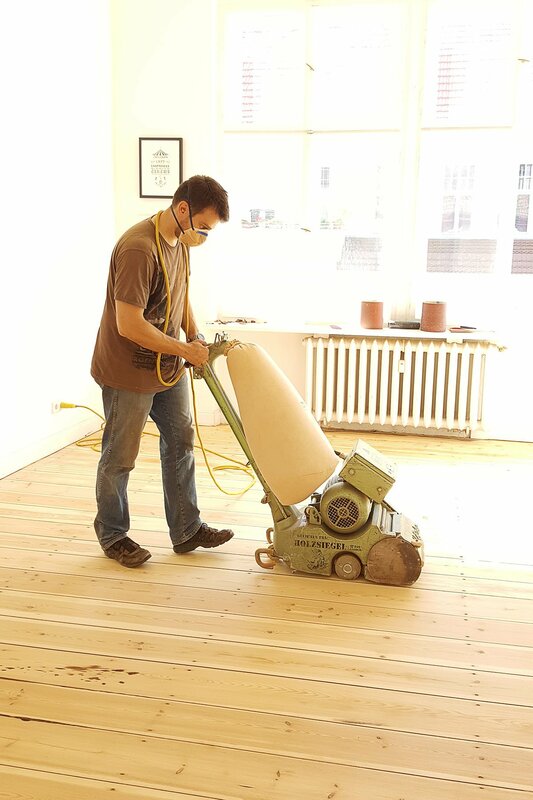 If your floors haven’t been sanded before, the maximum grit paper you should start sanding with is 24 grit. I know that sounds super corse and radical but anything finer will not sand away enough of the dirt and old varnish. More importantly, though, it’ll cause you much more work not to mention cost as you’ll end up using way more paper than if you were using the right grit. Our floors were slightly wavy and had a really thick layer of varnish on them so we started sanding with 16 grit paper! Using the wrong grit (too fine) will also mean that your sandpaper clogs up really quickly. Clogged up paper is useless so it’s something you’ll want to avoid. Not only because it’ll end up costing you more because you’ll constantly be replacing the paper but also because of the additional time it’ll take you to keep changing it. 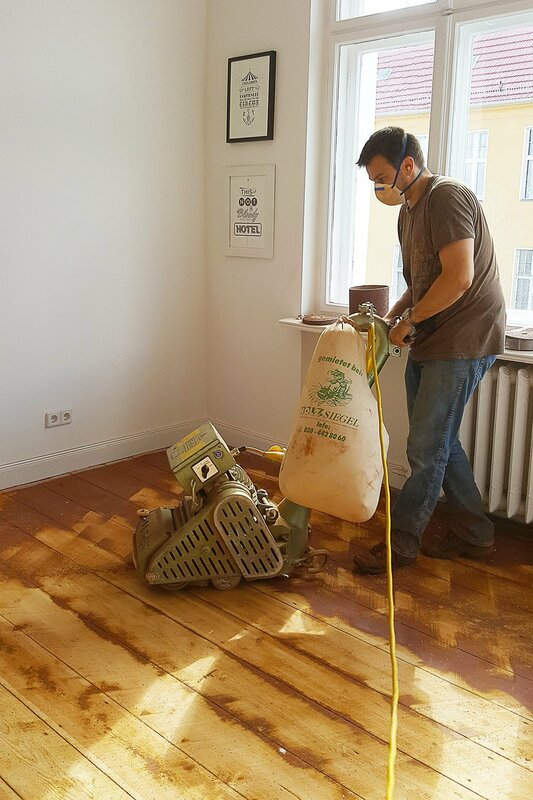 There’s really no getting around it – sanding your floors is hard work and physically tiring. 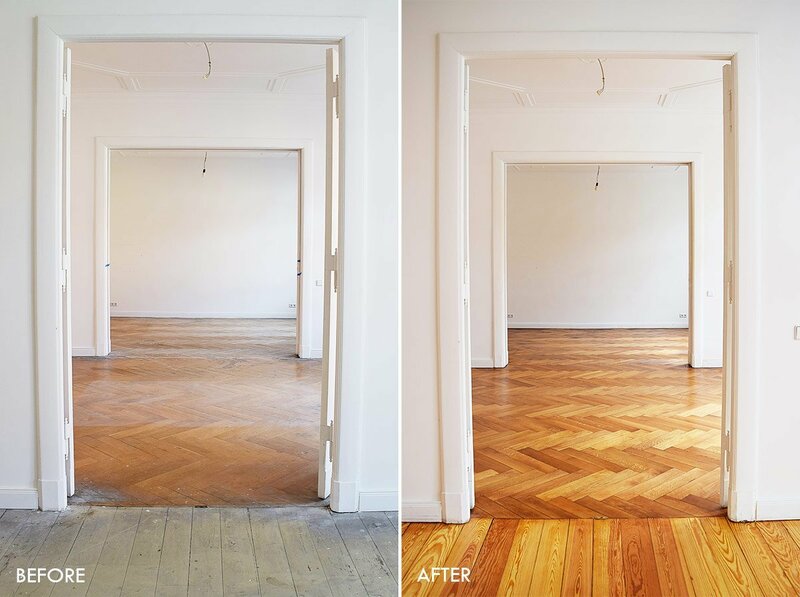 When you first start sanding you’ll almost instantly see a huge difference in your floor but once you’ve removed most of the varnish and dirt progress will seem so much slower. 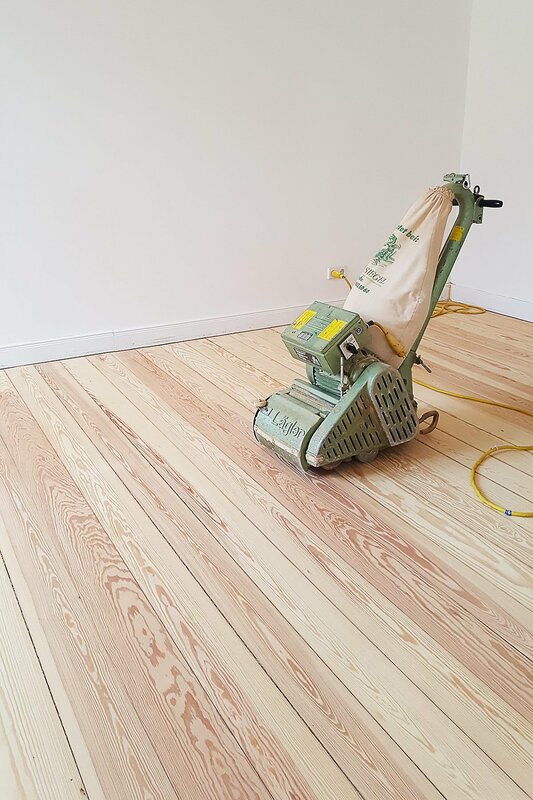 Mostly, this is down to the floorboards not being completely flat which means that the drum of the floor sanding machine won’t be able to reach all areas of the floorboards in one go. 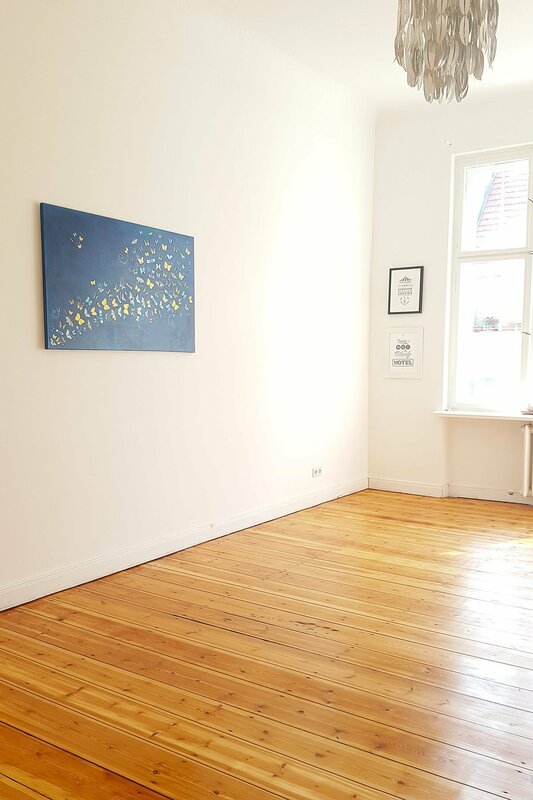 This means that you’ll often be left with shadows either at the edges of the floorboards (if the floorboards are concave) or in the middle of the floorboards (if the floorboards are convex). 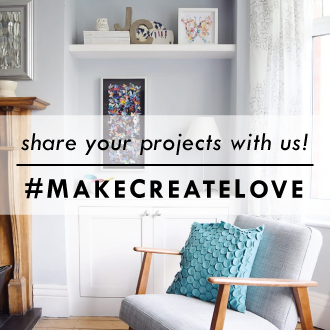 Although you’re probably thinking that your floors look good enough to call them finished, try to resist the temptation to stop now – it’ll make all the difference, promise! Sanding these last bits away is definitely the most frustrating part of the whole floor sanding process as progress will seem almost non-existent. You really want to keep sanding until all marks and any shadows are completely removed. 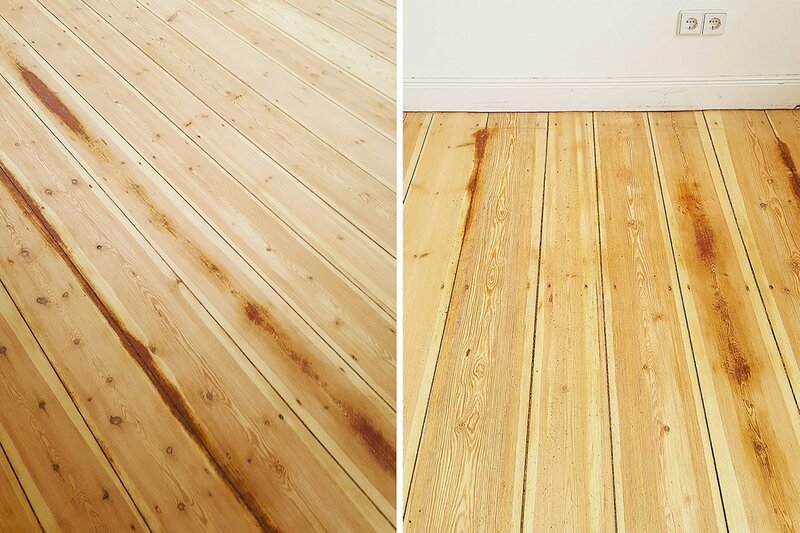 You need to sand your floorboards until they look brand new, even if you’re staining the boards (unless they’re going to be black or painted). 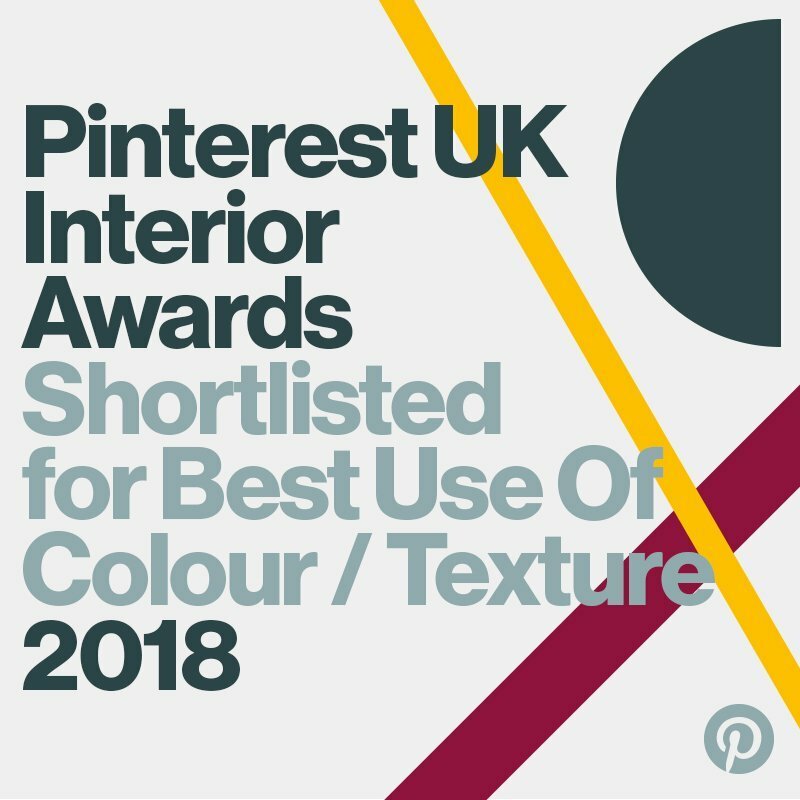 It’s what will make the difference between your finished floor looking amazing and professional or average and amateurish. We didn’t sand diagonally the first few times we sanded our floors but we did in our new home and it’s something we’d definitely recommend doing. It makes sanding your floors quicker as it’ll even out your floorboards making sanding quicker as you won’t be left with areas of the floorboards that are difficult to reach (which is the shadow problem I mentioned above). 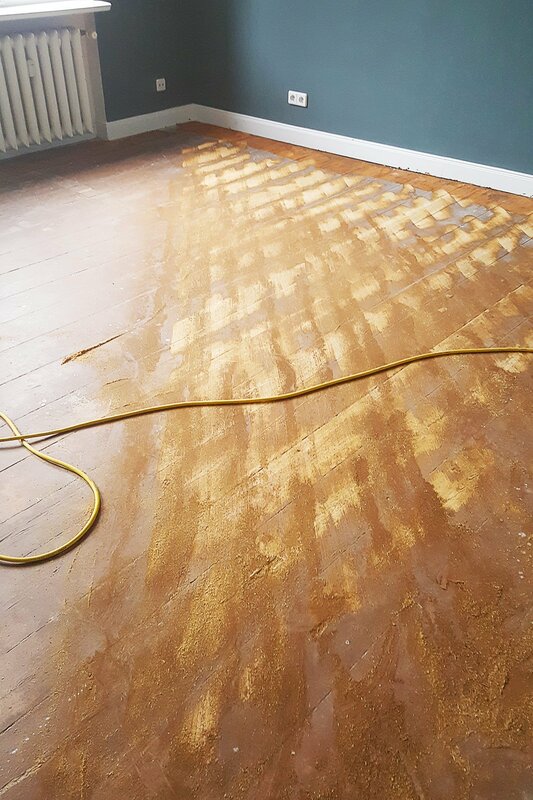 We never thought of the sanded floors in our Edwardian house as uneven – and they weren’t really – but the difference to our newly sanded floors in our current home really surprised me. It’s difficult to describe and impossible to show on pictures but they somehow feel much flatter and more even. Sanding the edges of your room is a complete pain. It’s backbreaking work as you’ll find yourself hovering over the edging sander for hours on end. 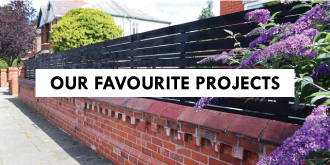 The good news is that you can sand the edges slightly less than the main surface – in fact, it’s a good idea to do so! 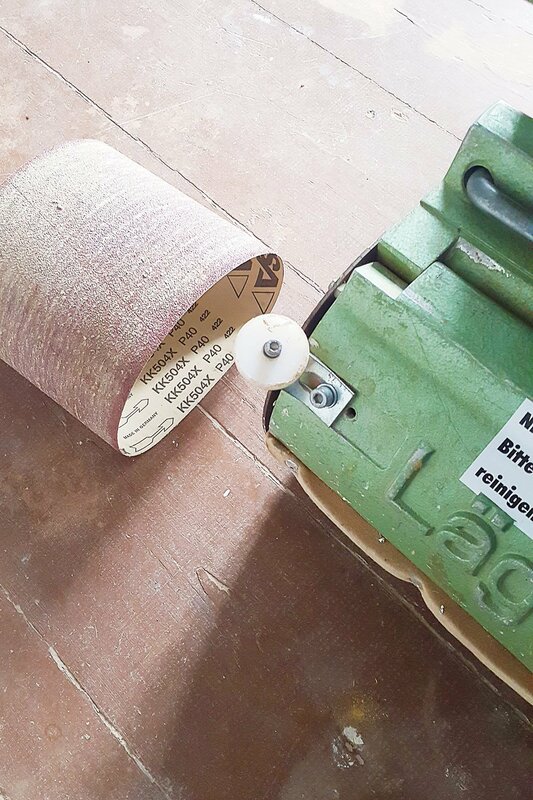 You should finish sanding the main area with 120 grit paper but for the edges, we’d recommend you stop at 80 grit. It’ll still be more than smooth enough and will save you time. 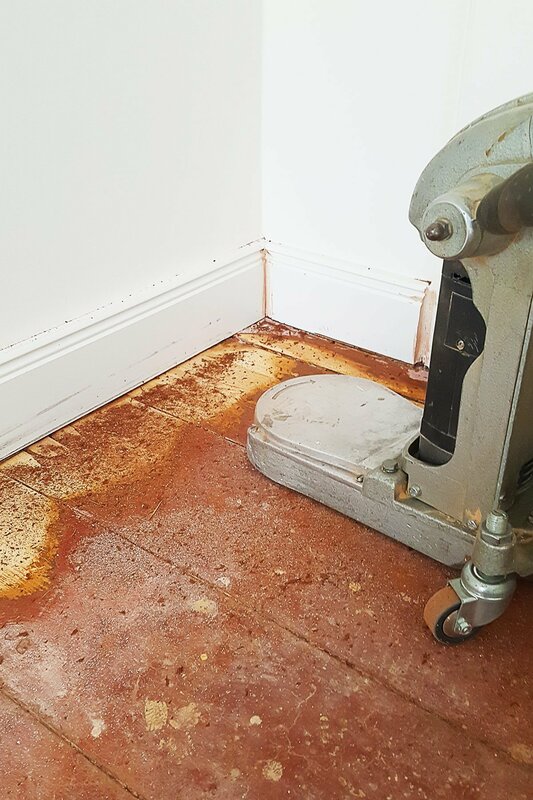 It is totally possible to sand with a fine grit but the problem (especially as a DIYer) is that you can quickly end up with scorch marks on your floor which can develop because of the high heat and friction generated between the sandpaper and your floor. One of the biggest floor sanding mistakes we made when we sanded our floors the first time around was not changing the sandpaper often enough. After a day or so, our floor sanding mistake dawned on us and as soon as we started to change the paper more frequently we were able to sand the floors much more quickly. Yes, now you’re thinking I’d rather save some money as the sheets and disks are really expensive but trust me, once you’re sanding you’ll really want to spend as little as possible time doing it! There’s nothing quite like standing back and admiring your finished floors and although we definitely moan about how much hard work it is, it’s also a project that’s easy to do and very rewarding! 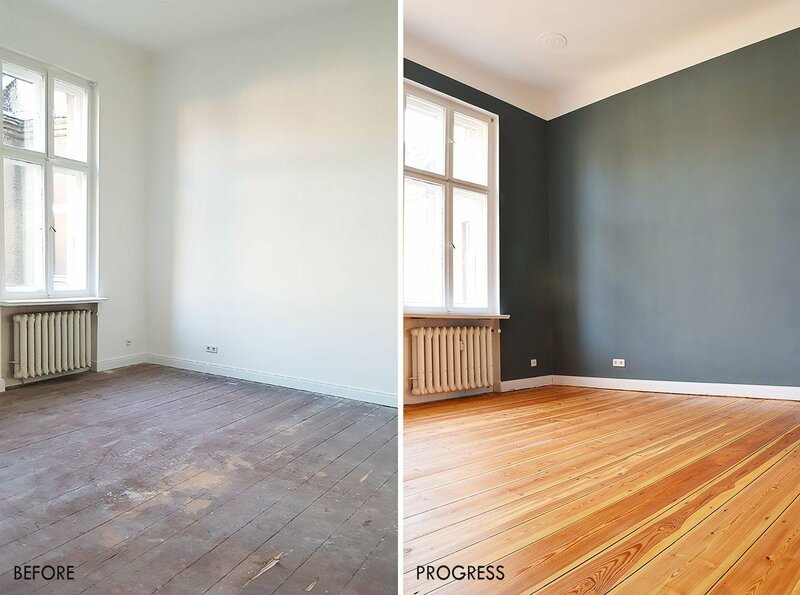 If you’re thinking about sanding your floors, you can see our full guide on how to sand your floors and floorboards here. 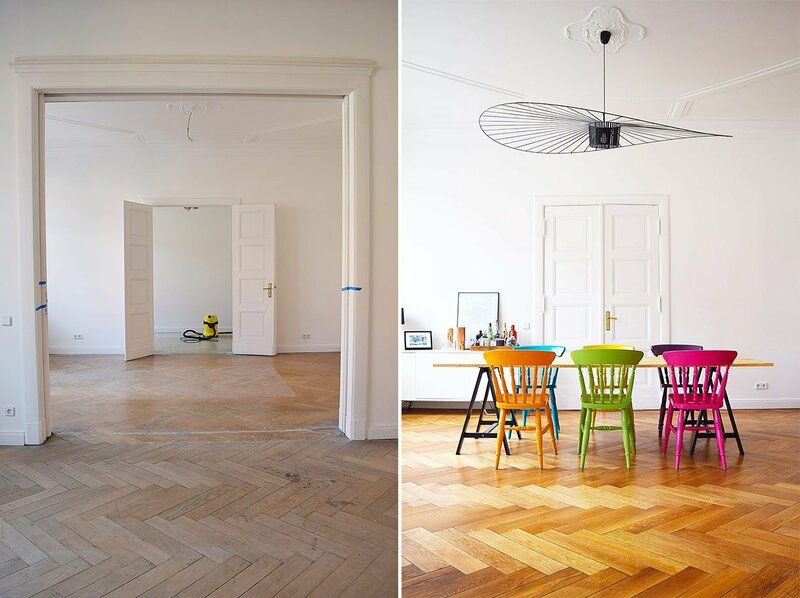 Have you ever sanded your floors or are your thinking about doing it in your home? 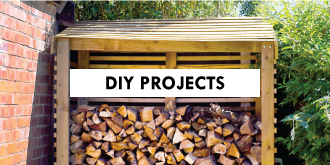 Have you ever made any big DIY mistakes or any of the floor sanding mistakes we made? previous article: What We Have Planned For 2018! This is great! We have yucky red and blue carpet all over our house and with a dog I’d much rather have sweepable, wipeable wooden floors. Just need to get on with it. I’ll certainly bear all these tips in mind! I totally admit that I don’t envy you but I promise that the hard work is worth it! Good luck with your floors! Everytime I think if a question you’ve already answered it across this and your other articles on sanding! So detailed and easy to understand. Thank you! 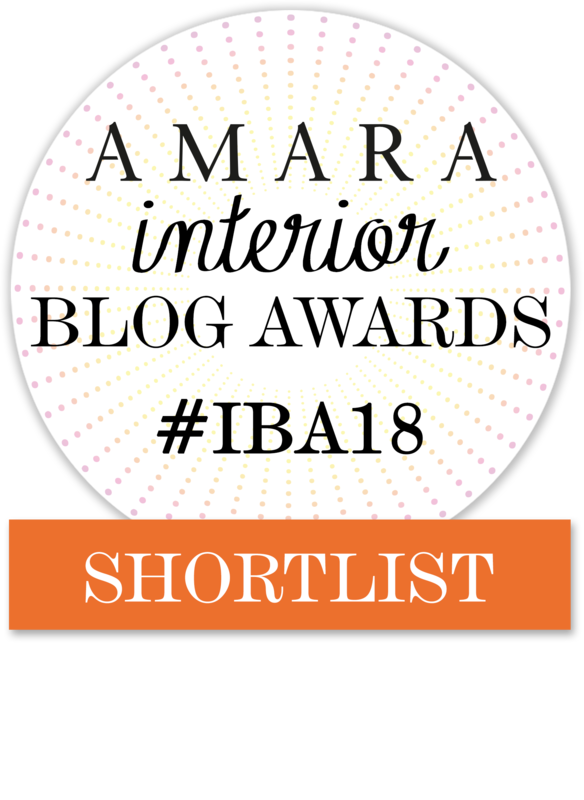 We’re currently buying a victorian semi with wooden floors so am reading up and keep ending up back on your blog! Haha, happy to hear that you keep finding your way back to us! 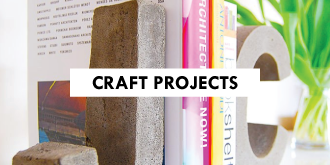 I’m officially obsessed with sanding – it’s such a rewarding job (even if it’s tough at time). 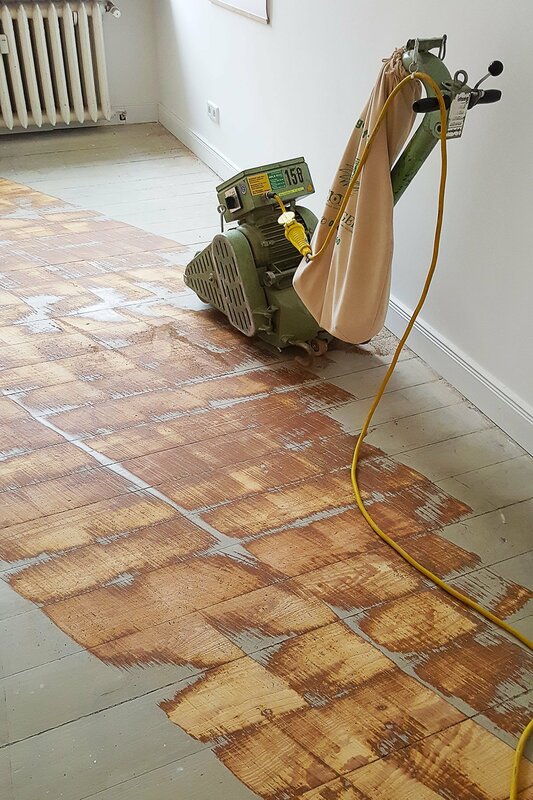 We’ve definitely written more than a few posts about sanding floors and ever time we sand something we learn something new. We’re actually putting together a full floor sanding guide so that all information is in one place. 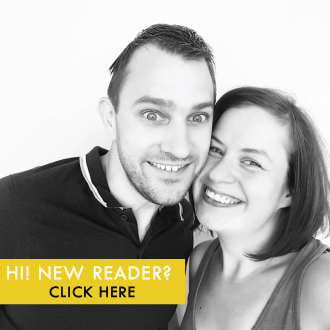 There are a few things we learned this time around that we’ve not even managed to share yet! It’s down to personal preference what you do with any gaps. We insulated under our ground floor (which is something I’d recommend if you’re exposing your floorboards) and the gaps were fairly small so that there were no problems. I personally wouldn’t advise on gaps over 5mm. You can fill the gaps with strips of wood that are glued into place before sanding or with a gap filler like this one. 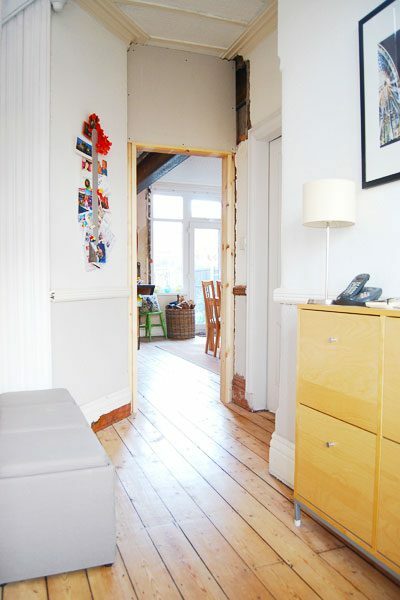 I personally don’t like the look of large gaps which is why we took up all floorboards in our bedroom and moved them closer together so that there was one large gap that we filled with another floorboard. Basically, there are a few options and the decision is up to you!